While Hawaii and Washington are known for their rainy winters, Southeast states are among the rainiest in the summer when the construction season is in full swing. In fact, seven of the 10 rainiest states in the summer are in the Southeast: Florida, South Carolina, Louisiana, North Carolina, Georgia, Alabama and Mississippi. 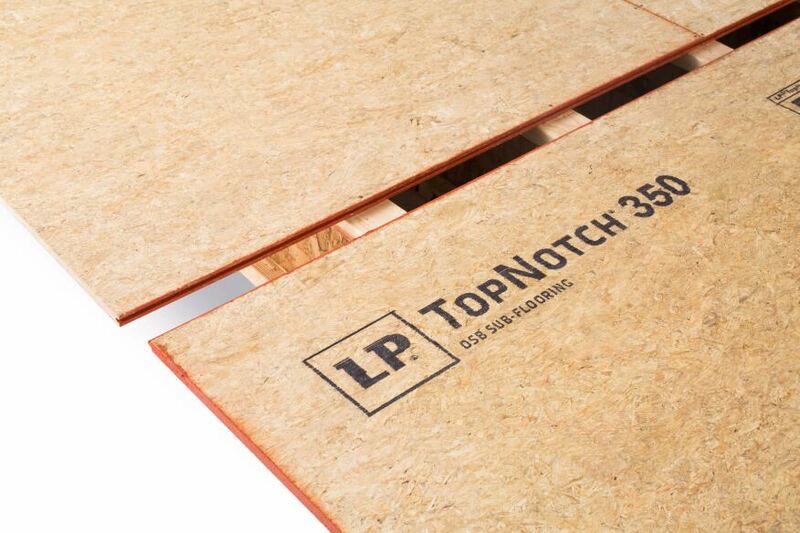 Armed with that knowledge, Southeast builders need to look for moisture-resistant products like LP TopNotch 350 OSB Sub-Flooring, which features RainChannel technology, a self-draining notch system that allows water to drain quickly from the surface. It’s also important for sub-flooring to offer a moisture-resistant edge seal. Products like LP TopNotch sub-flooring seal the edges, protecting them from moisture and reducing the need for sanding. In addition to moisture protection, OSB sub-flooring offers many other builder benefits—even in bone-dry states like Nevada and Arizona. Engineered wood sub-flooring provides optimum stability in both directions, creating a strong, smooth foundation for all types of finished flooring. To get superior strength and stiffness, engineered wood sub-flooring is manufactured by taking rectangular wood strands blended with thermal-set, waterproof adhesives and arranging them in cross-directional layers until they bond together under extreme pressure. An engineered wood product like LP TopNotch sub-flooring also makes installation a breeze, with its easy self-spacing tongue-and-groove design. And its wood is sourced through programs certified under the Sustainable Forestry Initiative. While many of the fastest growing construction markets are in the “Sunbelt” states, many of those states aren’t continuously sunny, especially in the summer when construction activity is at its peak. That’s why many Southeast builders are turning to engineered wood sub-flooring for its exceptional moisture resistance, strength and stiffness. LP, TopNotch and RainChannel are registered trademarks of Louisiana-Pacific Corporation.